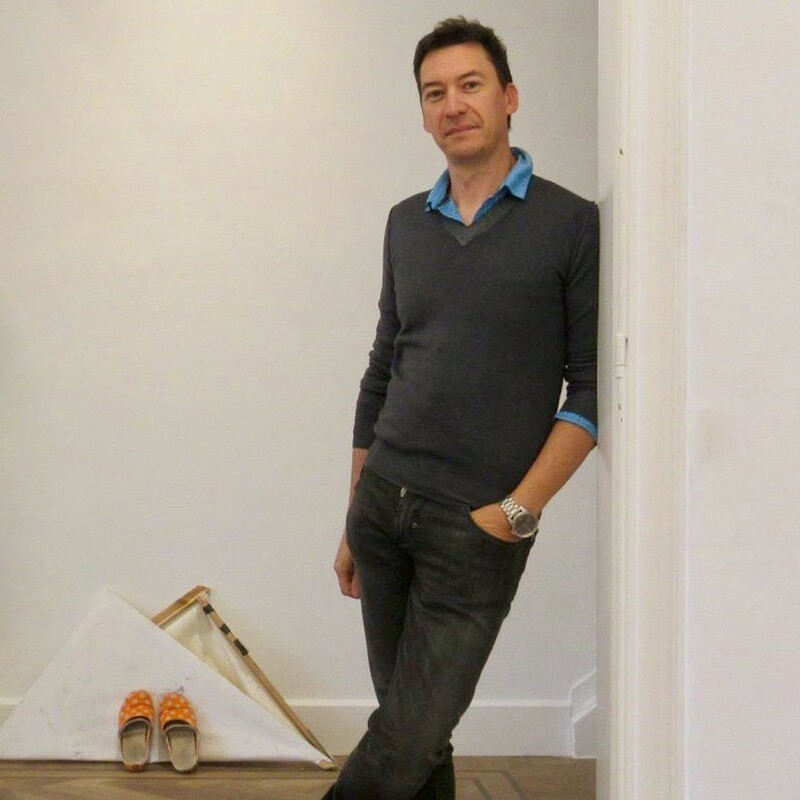 World Artists and their Story – 39, Gert Scheerlinck | Marbella Marbella – Adelante! 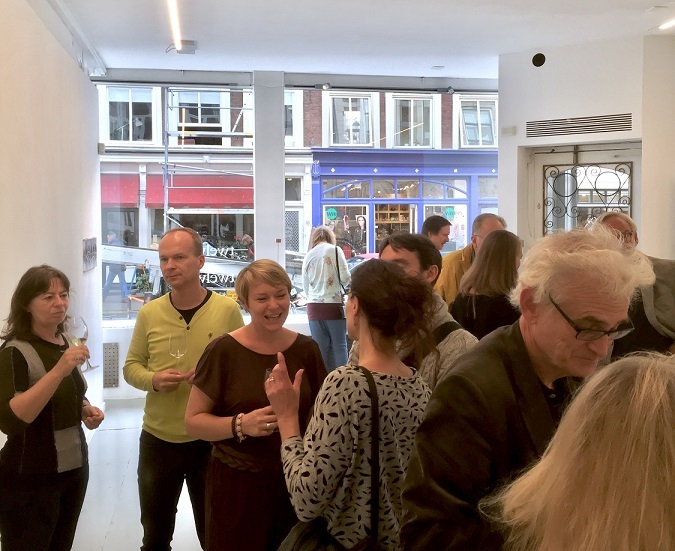 Some time ago I attended the opening of the exhibition ‘Objects of Disguise’ by Gert Scheerlinck at Twelve Twelve Gallery. 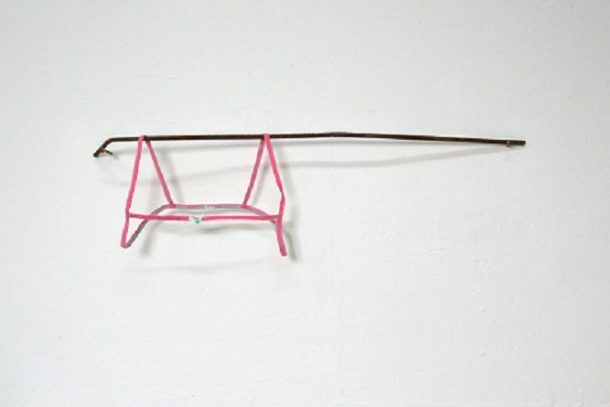 Gert Scheerlinck is from Oosterzele, just below Ghent, Belgium. 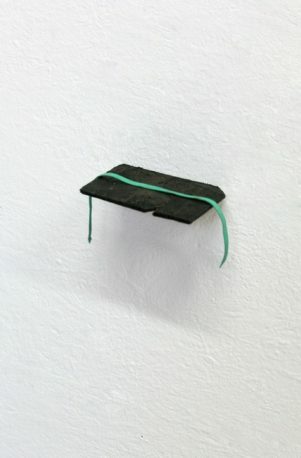 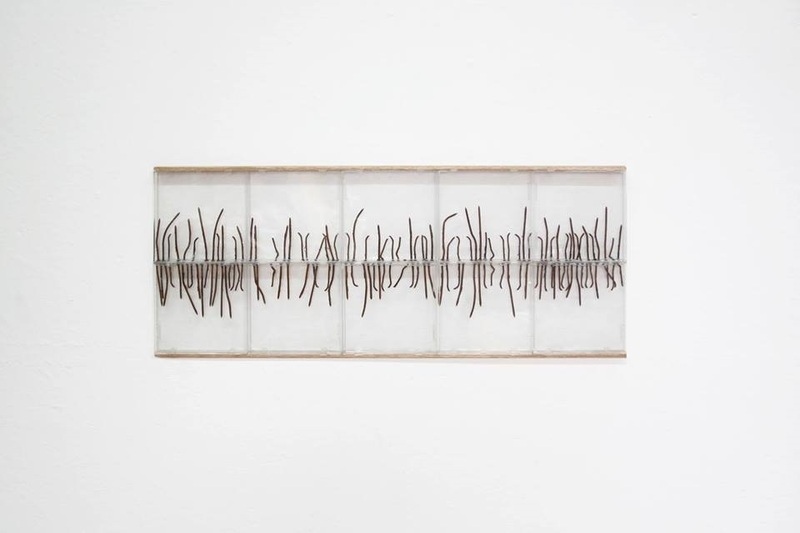 The artworks are made of everyday materials: old nails placed next to and under each other in a series of empty CD cases, six used industrial filters in a different state of grayness placed under each other, a branch of over a meter with a rope with a loop attached to it, scouring pads with the rough side up, which together form a carpet. They are everyday and sometimes also raw materials. 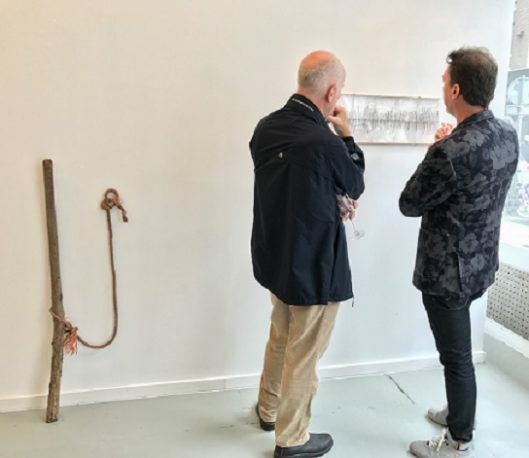 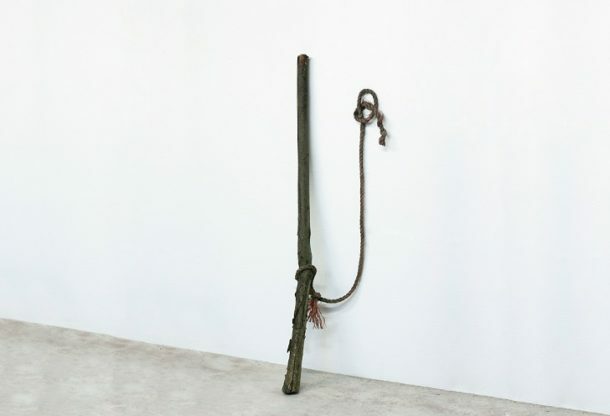 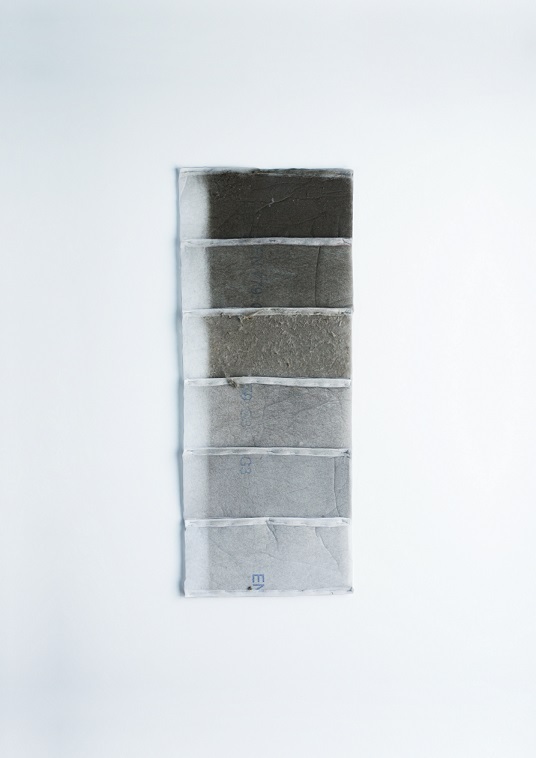 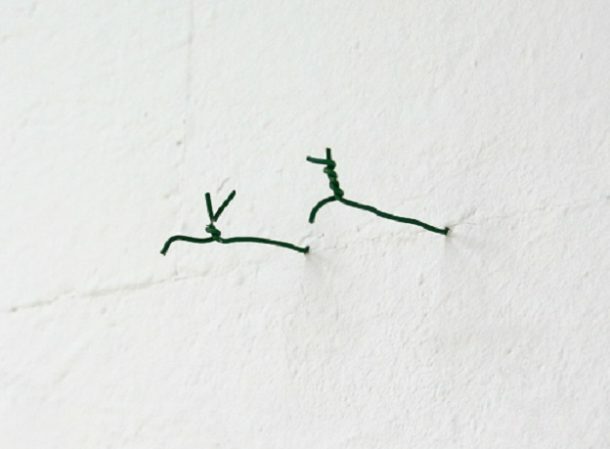 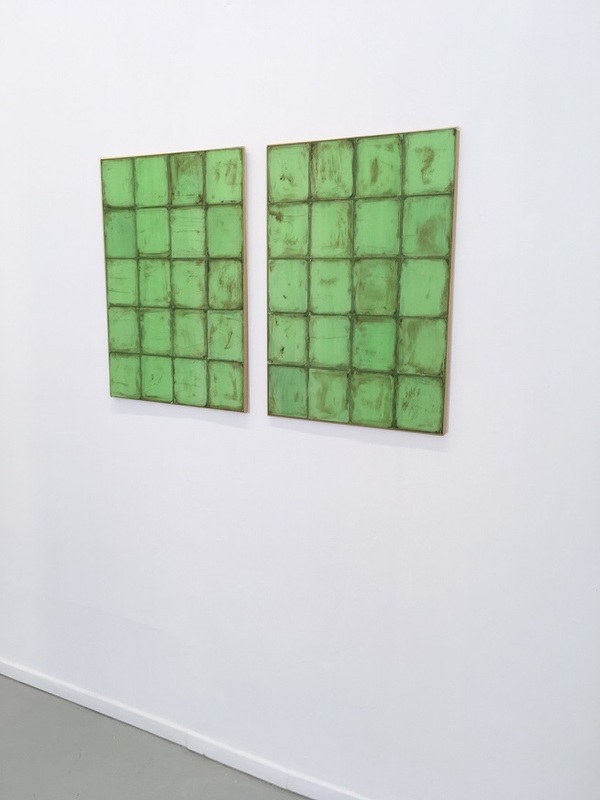 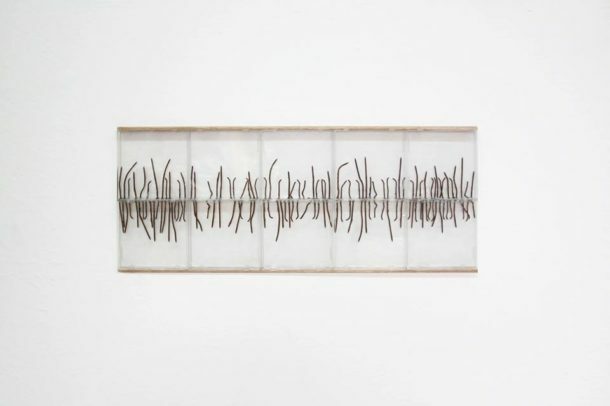 There is a connection with the Arte Povera, an Italian art movement from the seventies of artists who made works from simple materials, where it is not so much about the art object, but about what the object brings about to the viewer.